After a day of boating in the remote Knight Inlet along the coast of the mainland of British Columbia, we rested in Glendale cove and had good time when shortly after sunset this gorgeous evening light came up. 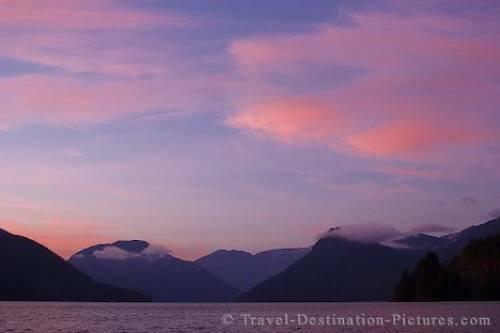 Sunset and scenery of Knight Inlet along the coast of Mainland British Columbia, Canada. Picture of sunset over the mystic scenery of Knight Inlet, British Columbia, Canada.